1. You play with two other guards in the starting lineup as a first year player at Flint Hill how have you been able to develop a chemistry with them & how have they made your transition to the offense easier? I have always been capable of adapting and playing in any type of offensive structure. The last couple of years playing on the Adidas Circuit, I was blessed to play alongside multiple guards which helps a player not only learn how to run a team but also move without the ball. My chemistry at Flint Hill developed with them before the season began by playing pickup games with them, and learning what their tendencies were on the court. Me and Justice have been close friends and played basketball together since the 5th grade and I have known EJ for a couple of years now so our friendship chemistry was already there. Playing alongside other guards also keeps the defense off balance and makes the offense very effective in transitions and half court sets because at any time, any one of us will run the set, make our reads or break out on the wing. We work hard every day to be one unit. 2. 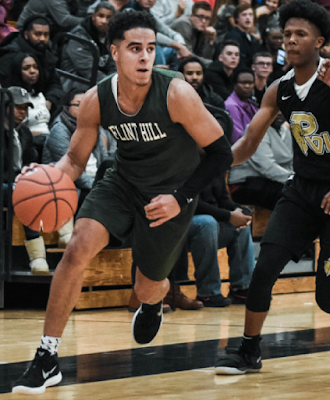 Flint Hill is off to a great start what are your team & individual goals for the remainder of the season and did you anticipate the team would play so well early on? From day 1 back in pick up ball, I started to believe that we could be a really good team if we all worked hard and bought in to what Coach Reed wanted and expected us to do. Coach Reed is a very excellent and strategic coach, he pushes us beyond our capable limits and holds us all accountable especially on defense. We’re all taught to focus on each individual game and take each game one game at a time. It hasn’t been easy some games and we have had some very close games including a tough overtime win but we try to use what the coaches are teaching us and fight one quarter at a time, down to one possession at a time. Every game we win is only a one game win streak, only thinking about one game at a time. Our objective as a team, is to win our conference and hopefully states, but only do it one game at a time. My personal goal, is to continue to improve every day and be as effective as I can be to give my team the best chance at winning. I do whatever is needed for the team and whatever the coaches ask me to do. 3. You have had some great displays of your shooting & scoring ability this season how have you improved in that area and what did you work on this past summer to improve your overall game? Playing alongside some top ranked guards like Immanuel Quickly who’s at Kentucky and going against top national guards on the Adidas gauntlet like Zion Williamson (Duke) and Devon Dotson (Kansas) to name a few, ultimately it helped my confidence and I took pieces of their game and I try to incorporate it into mine, making not only my scoring ability better, but my playmaking ability better and just my overall skill set better as well. 4. What schools are currently showing you interest and have offered you? 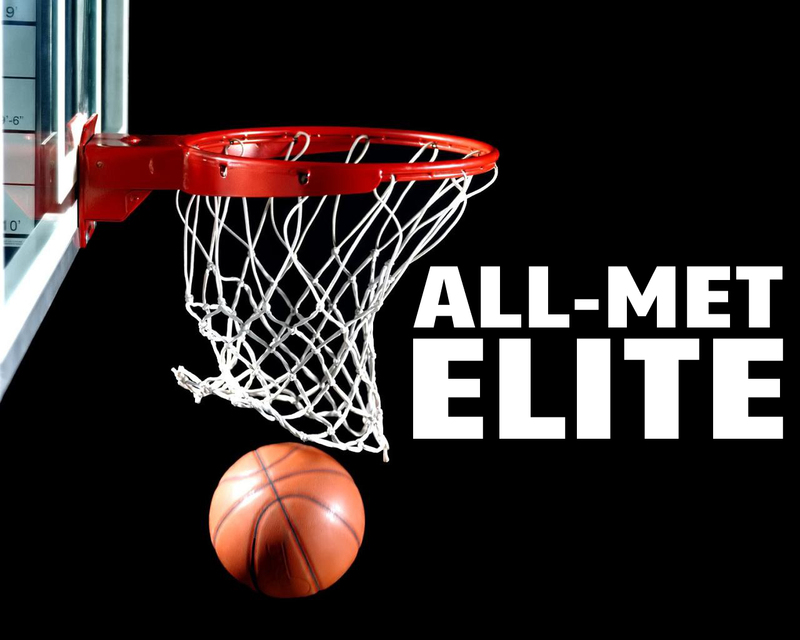 I am having more schools reaching out now, I have been offered by Boston University, Lehigh University, Delaware State with high interest from Dartmouth, Bowling Green, Richmond, Bryant, UNC Ashville, Akron, Wagner, Cleveland State UMass-Lowell and a few others. There has also been some good interest from a few high major schools who has had a chance to see me this year and from last summer. I have schools that are also waiting to see if I am going to move to the 2020 class and has indicated that they would like to offer me in that class as did Lehigh. I leave all that up to GOD and just focus on what I can do. 5. You play with an elite rim protector in Qudus Wahab what does it feel like knowing that if you are step behind defensively he is back there to defend the rim? My first goal is not to get beat but if we do, Big Q is a force! He’s one of the reasons that I came to Flint Hill. I know if I slip up on defense, he’s going to either block the shot or making it very difficult for the offensive player to score. He’s the backbone of our offense and defense. He takes stress off the guards because we know he’s going to clean up the mess if we so happen to get beat. But my goal is not to get beat! 6. How would you describe Flint Hill basketball & how have the head coach & coaching staff prepared you for this season? Flint Hill basketball isn’t just about a team, it’s a family and we are there for each other whether it’s on or off the court. When we step on the court we know it’s all of us, versus all of them, and if one man goes down, we all go down. Coach Reed and the coaching staff has helped us prepare for the season not just physically with cardio, weights and skill set workouts, but also mentally with what our objective at hand is. He has taught us that everything we do, has to be one at a time, not get to down or to low, to stay in between and treat every practice or game as if it is our last.